Over the years Bolt’s victories on the global stage, now nine World Championships and six Olympic gold medals, have inspired awe and disbelief but never such an outpouring of gratitude. Talk of him saving the sport by beating one doper in Justin Gatlin might be a tad overstated. After all there are still 66 convicted drugs cheats in Beijing and four of them took up a lane in the 100m final alone. It will take considerably more than 9.79sec, Bolt’s winning time, to solve a problem of that magnitude. But by defeating the unashamed American, banned twice for drugs offences and utterly unrepentant, he landed a significant blow for clean athletes rallying against the dopers who steal their medals and in turn their money. The winning margin was just 0.01sec, with Gatlin taking silver in 9.80sec, but it was probably the most symbolically important hundredth of a second in athletics’ history. The hero had beaten the villain and the sense of relief in the posh seats, where those charged with protecting the image of the sport were stationed, was palpable. ‘I’ve shown the world that it is possible to succeed clean. 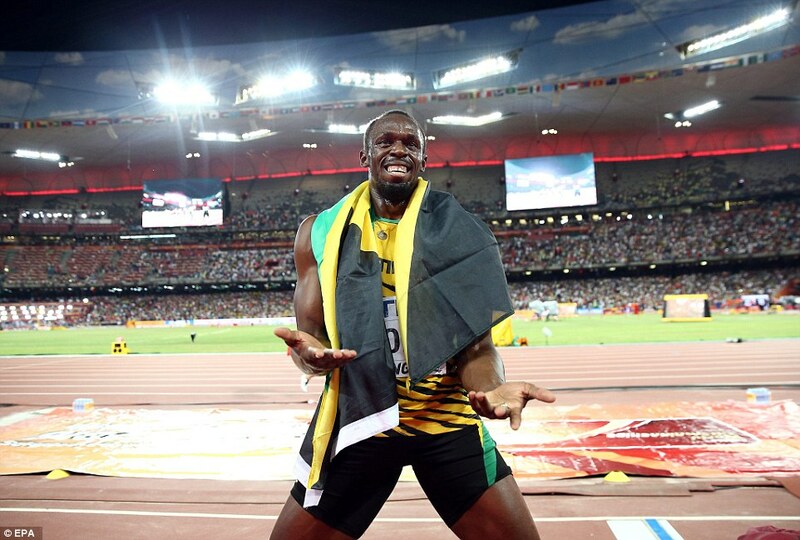 I have worked my hardest, I have pushed myself, I’ve been doing it for years.’ said Bolt. Next Is it a Bar or a Brothel?